Running costs are favourable too with an assortment of petrol and diesel engines on offer however the 1.6 litre diesel 134bhp version happens to be the quickest and most economical returning up to 74.3mpg and reaching speeds of 62mph in just 9.5 seconds. The interior is solidly built with the driving position offering plenty of adjustment. The 380 litre boot can be increased to 1,225 if they rear seats are folded down. The doors are a foot longer then usual to aid people accessing the rear seats, a nice touch. Standard equipment in the entry level version includes 16 inch alloys, LED lights, cruise control, cornering lights, LED daytime lights and a graphite chrome radiator grille. See just how much you could potentially save on the Kia Pro Ceed using one of Coast2Coast Cars specialist dealers. 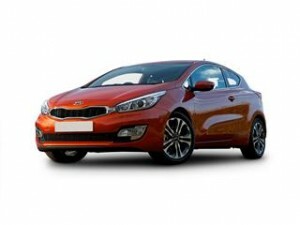 Saving thousands from list price of your new Kia just by using our free form. Just spec the car of your choice and we do all the rest, we then display what offers you are entitled too to suit you and with no obligation to carry through with the purchase at any point. Finance can be set up too direct with the dealer subject to status, simply ask for more details when you have viewed your online quote and see what options you have available.